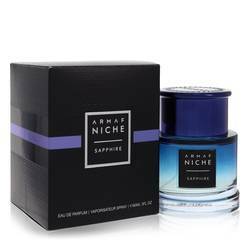 Armaf Niche Sapphire Perfume by Armaf, An unusual aquatic ambery fragrance, Armaf Niche Sapphire is a great daytime scent in warmer months . Spicy ginger, tart grapefruit, refreshing mint, and rosy pink pepper top notes create a sparkling layer of fragrance, preceding the dewy watery notes, green violet leaf, and woody notes of the middle. Salty-skin ambergris, exotic guaiac wood, sweet amber, and austere cedar form the warm and woody base, giving this soft, aromatic spicy fragrance a solid dry Read More Read More down scent. 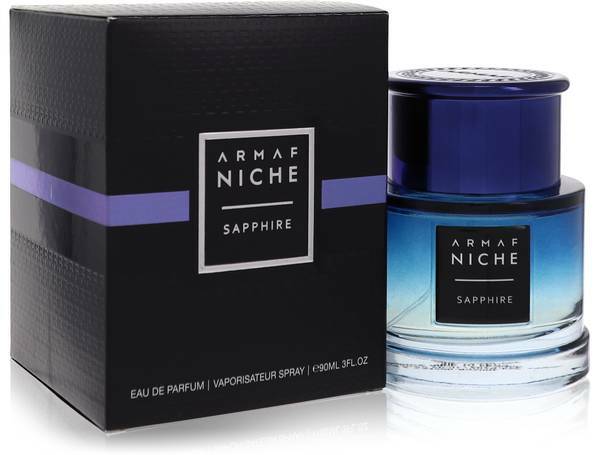 Unisex and unexpected, this perfume is energetic and refreshing with a close sillage.Based in the United Arab Emirates, Armaf is a new fragrance brand with more than 100 perfumes and colognes under the name. The Sapphire bottle has a cap the same lovely blue color as the precious gem the scent is named for, and a bottle that shades from bright cobalt blue to clear. The name and brand label is striking black with white lettering. All products are original, authentic name brands. We do not sell knockoffs or imitations.